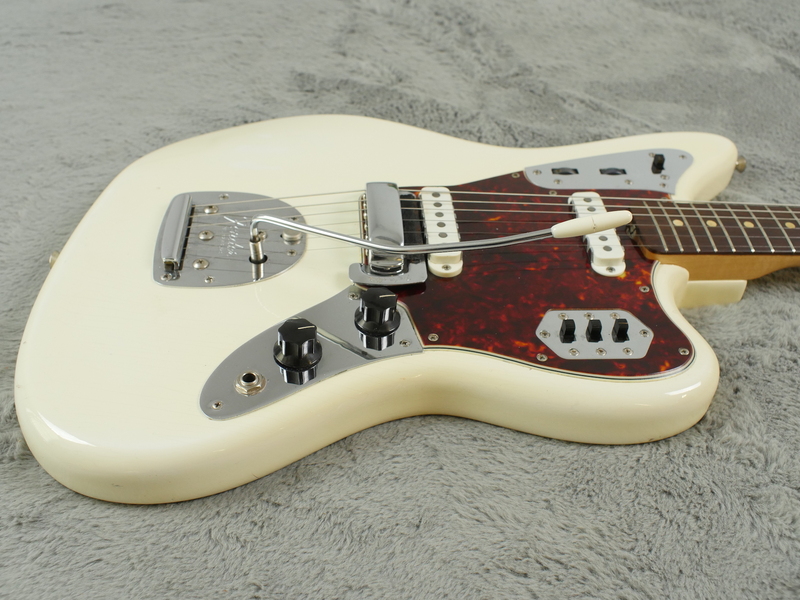 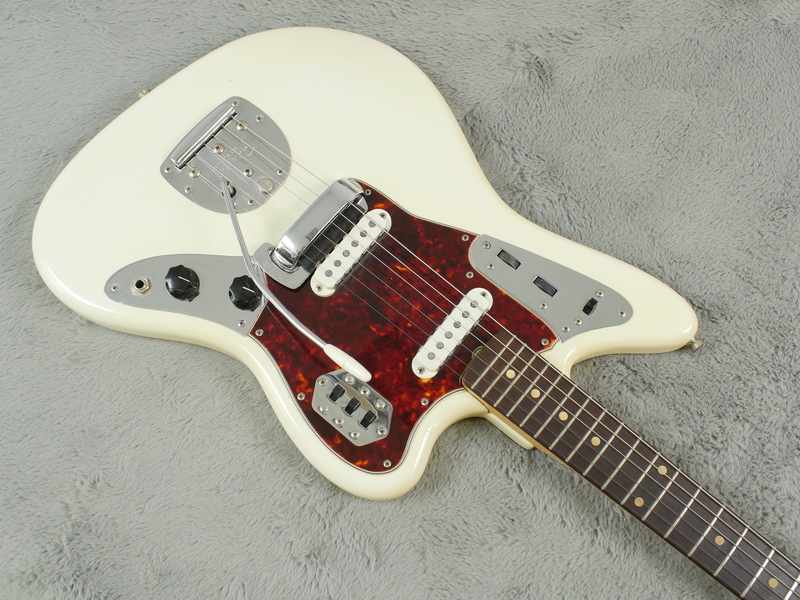 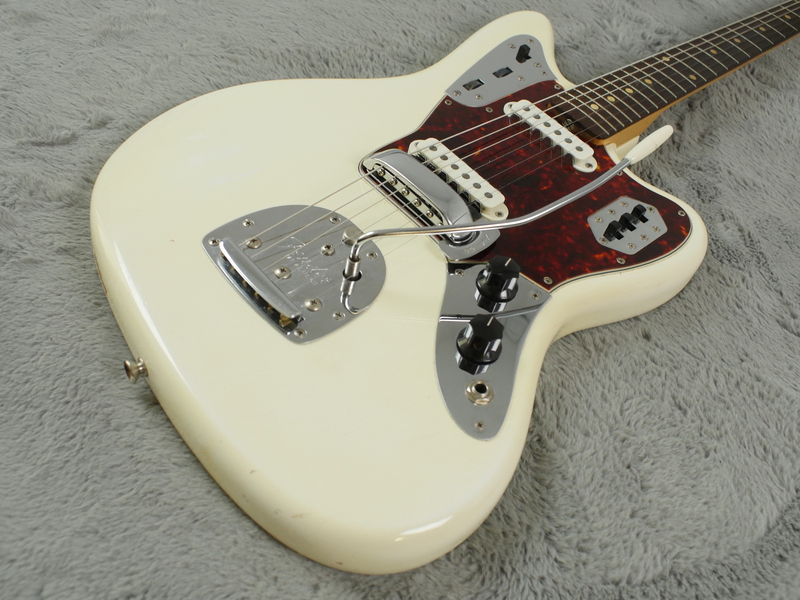 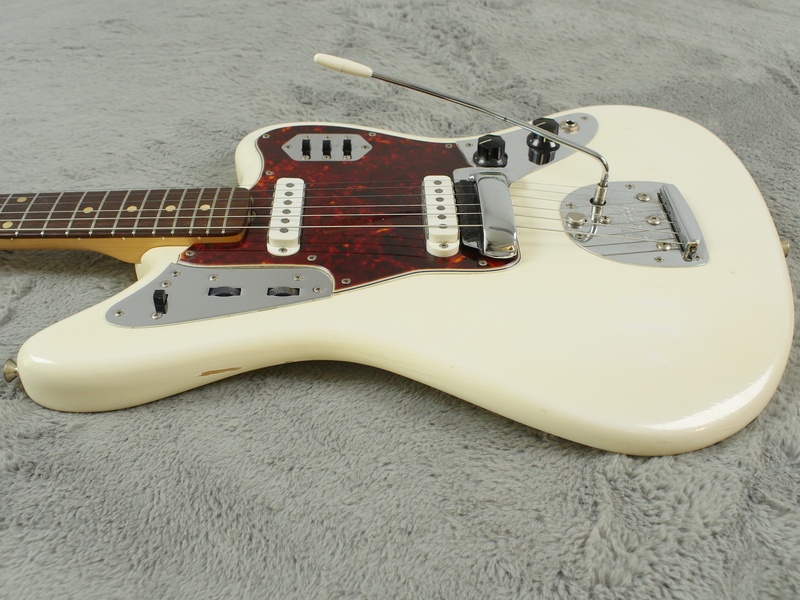 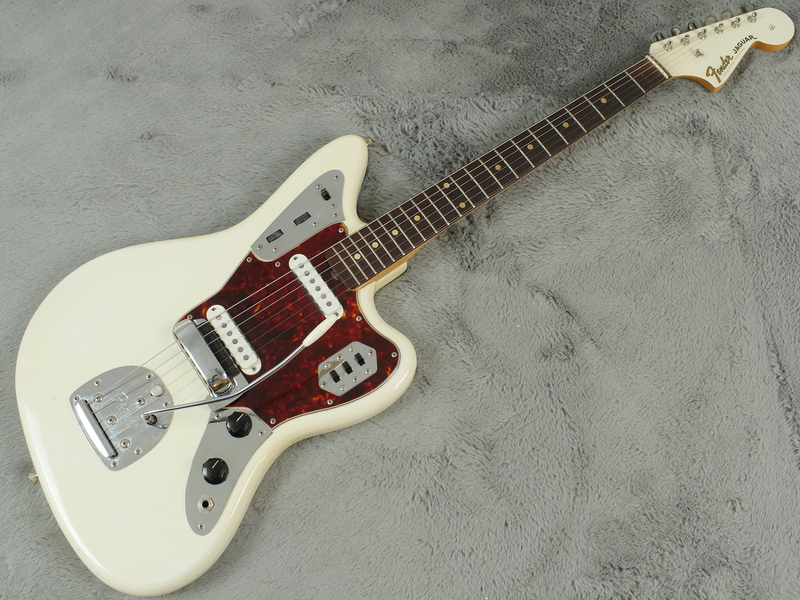 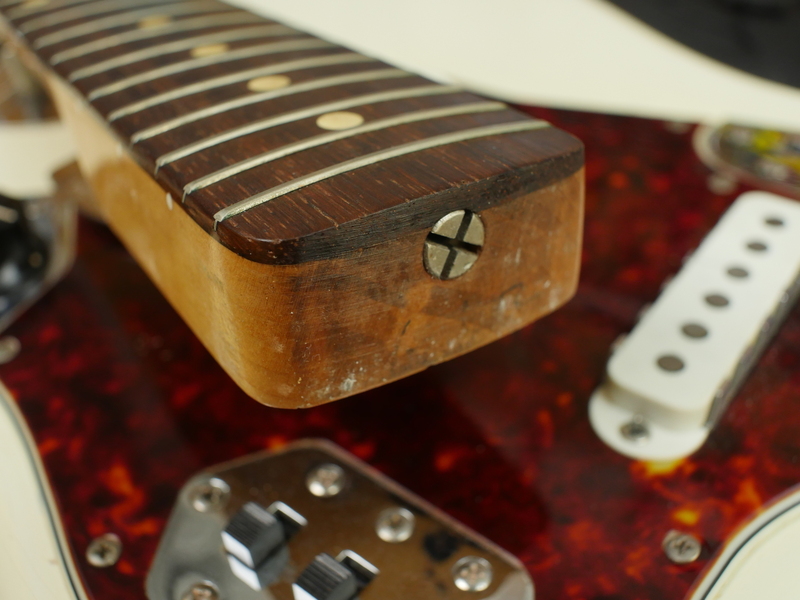 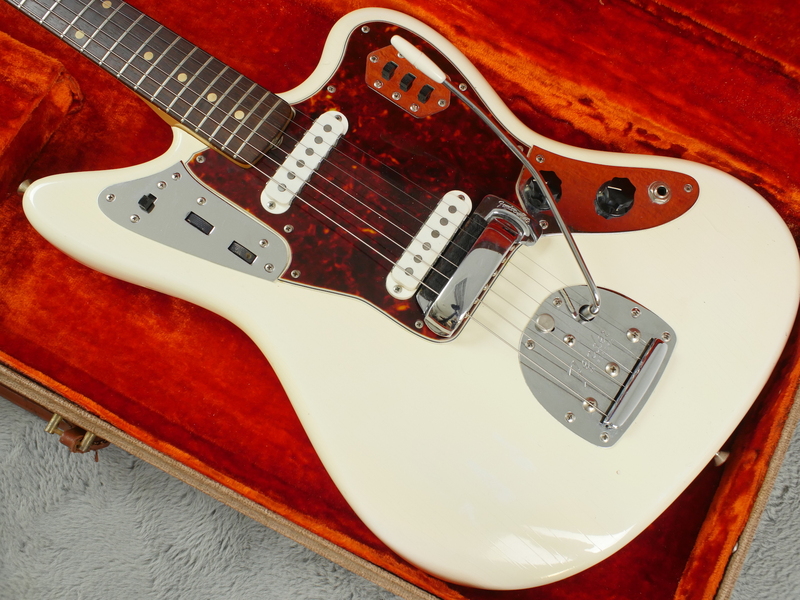 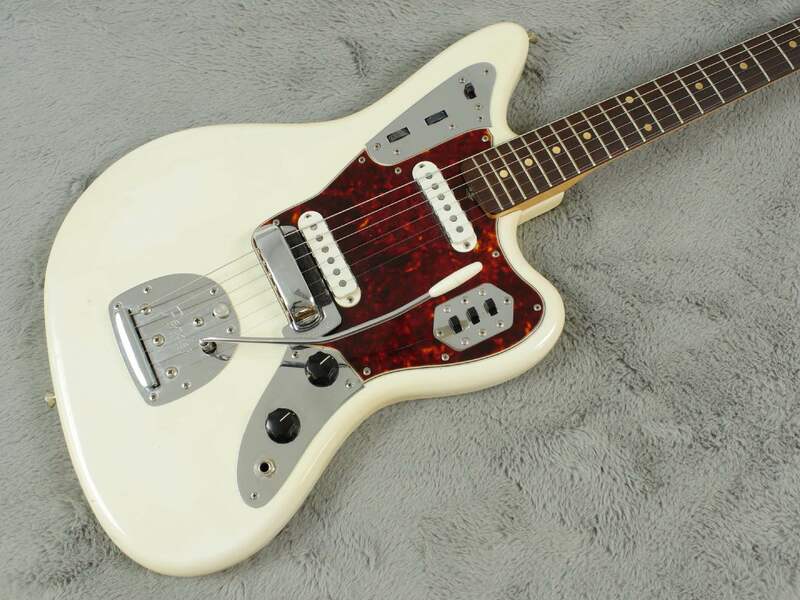 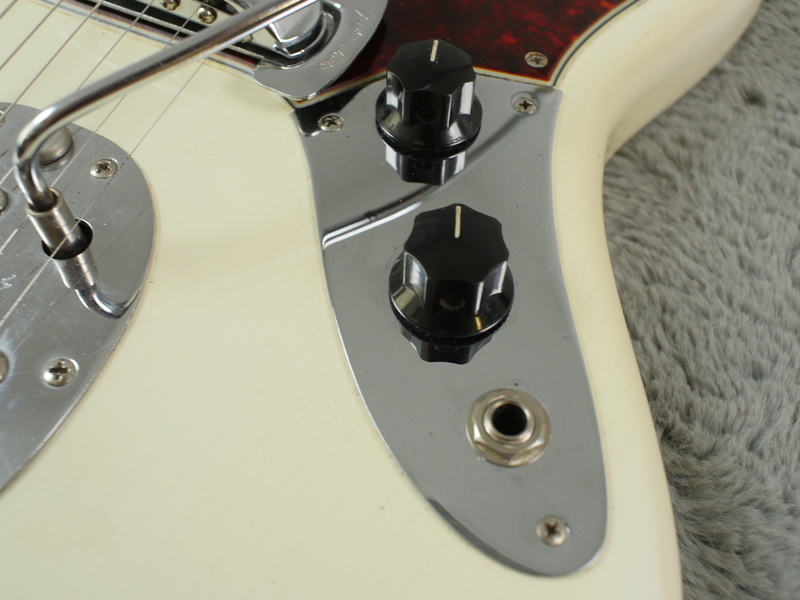 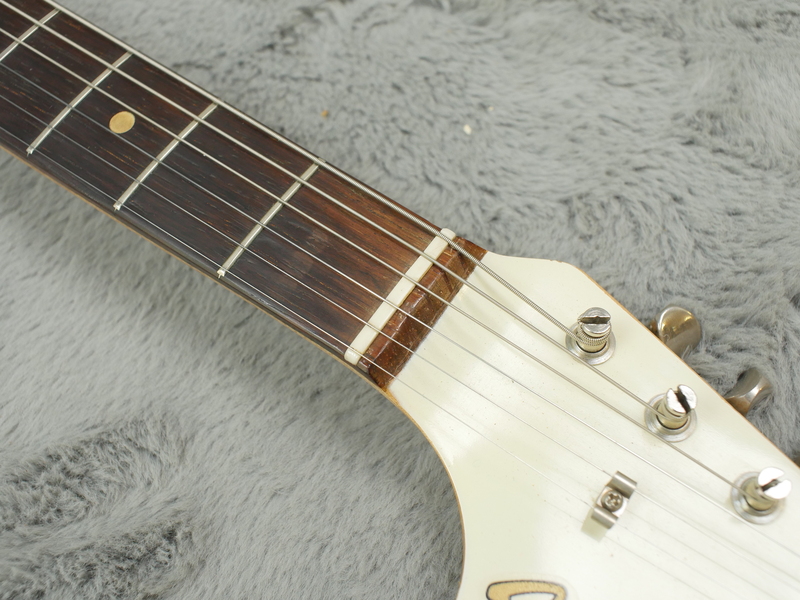 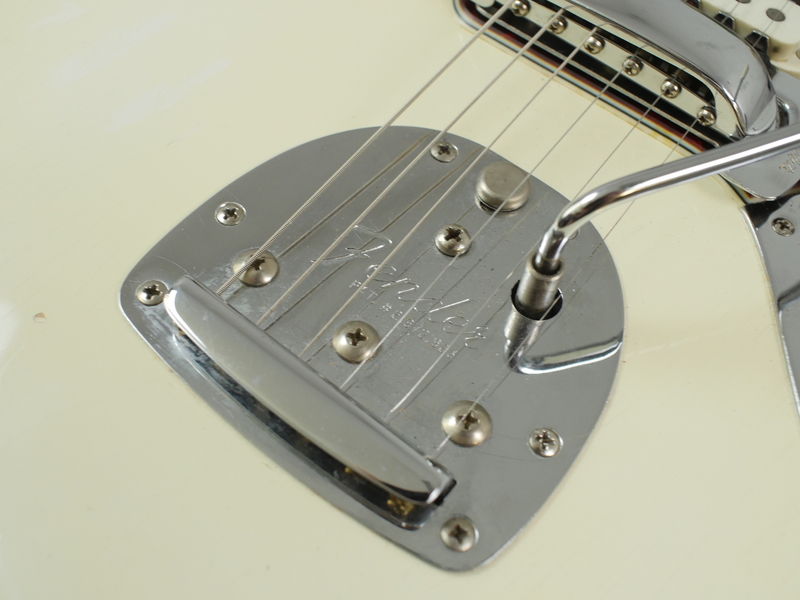 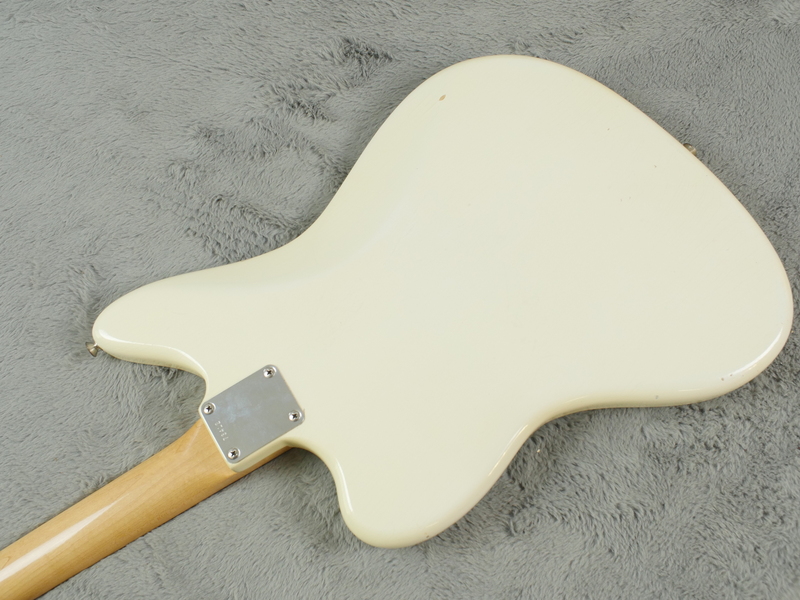 Rare, first year, slab board Fender Jaguar which has been owned from new by the same family up until 2015, complete with history and sent back to Fender in Fullerton, in 1963/4 for a verified, factory refin in Olympic White with matching headstock. 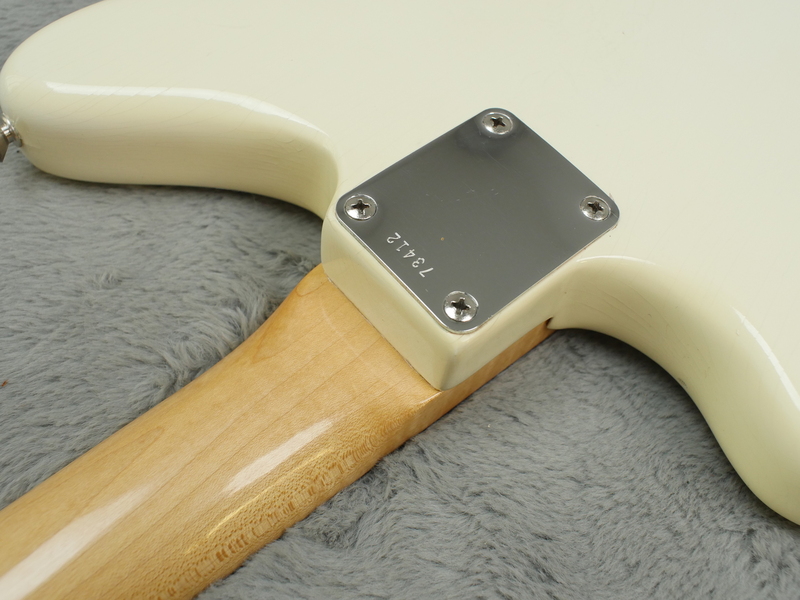 No clearcoat was applied and guitar still has its lovely, milky white finish. 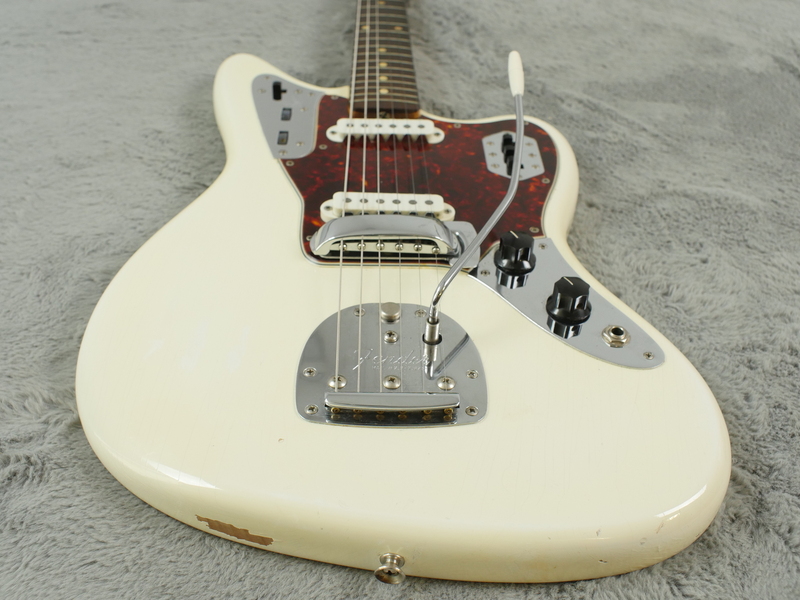 Owned from new by a Mr Brad Starr of the Royal Flairs who were a garage band then a surf band in the early to mid 60’s - do a search and you will uncover some of their material. 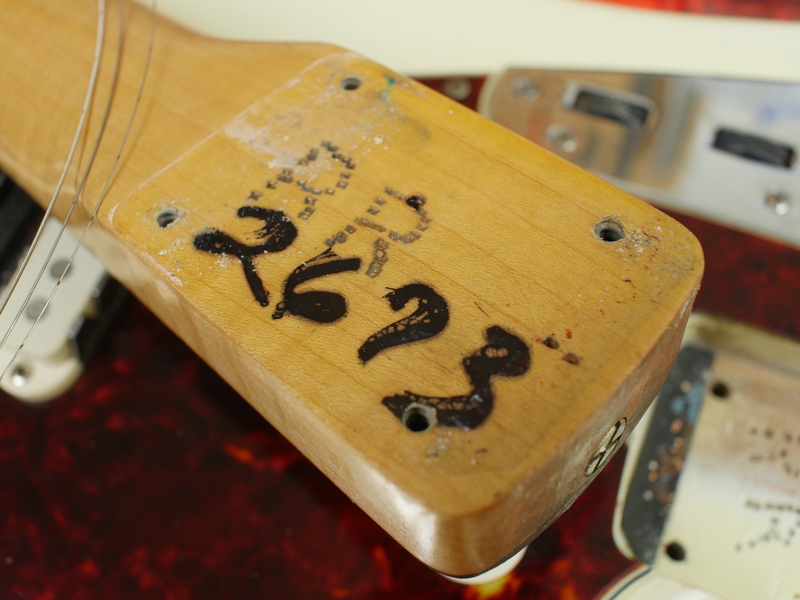 Guitar was originally sunburst then due to (we were told) needing to be white for the surf band’s new image, it was send back to the factory for a refin. 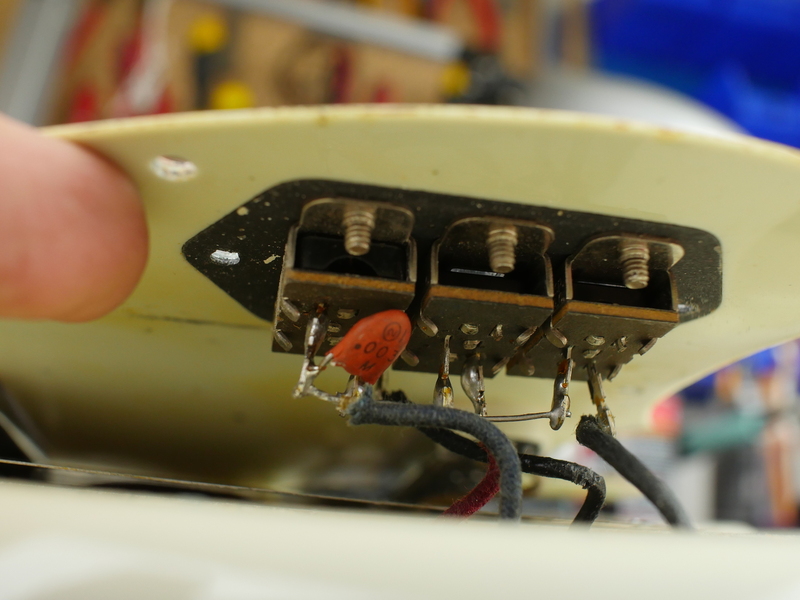 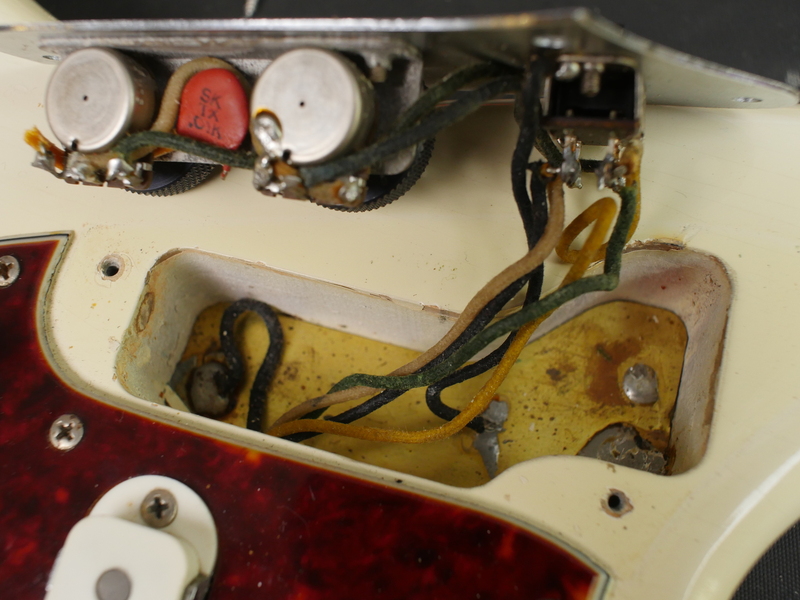 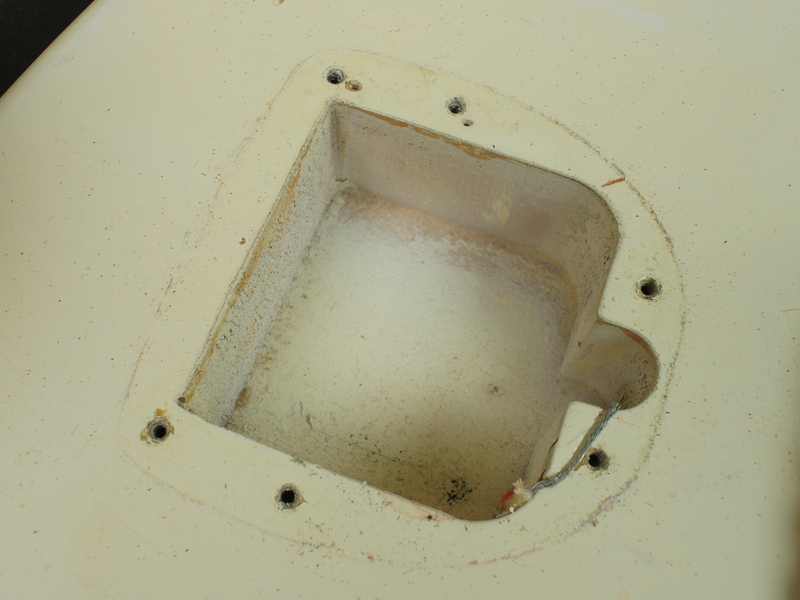 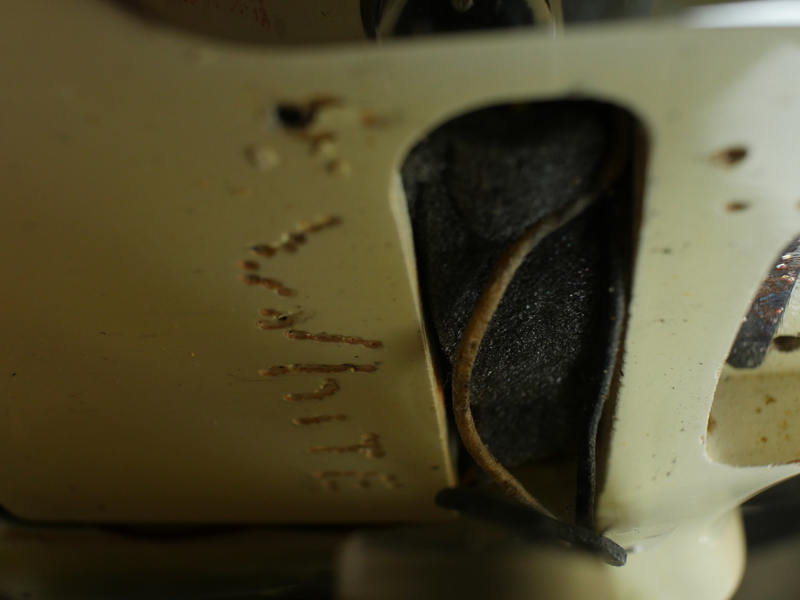 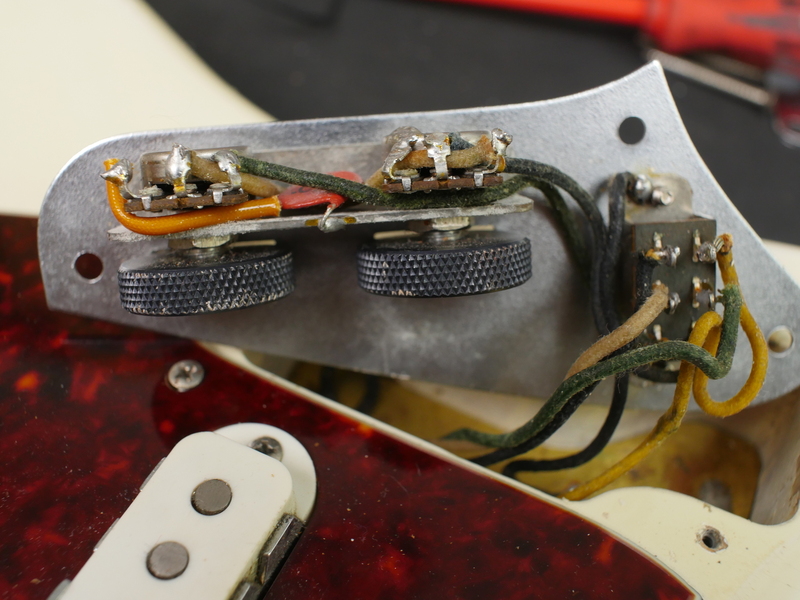 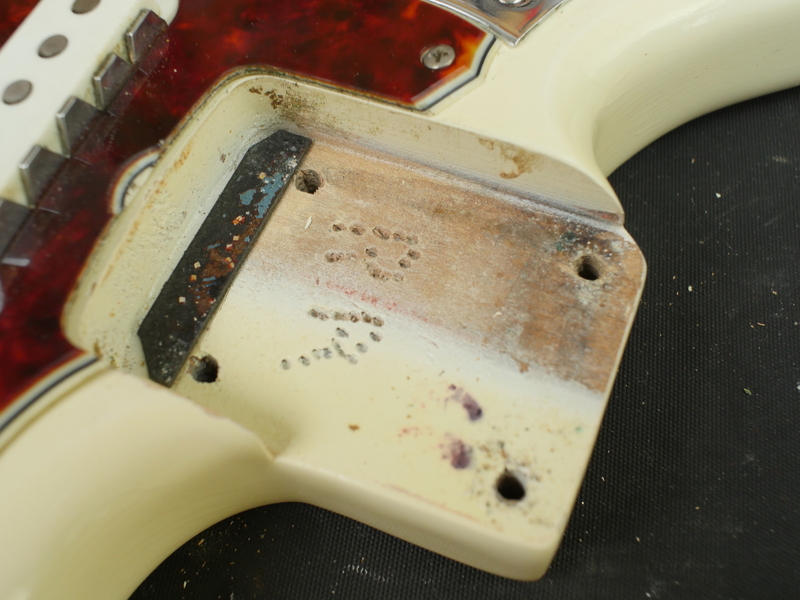 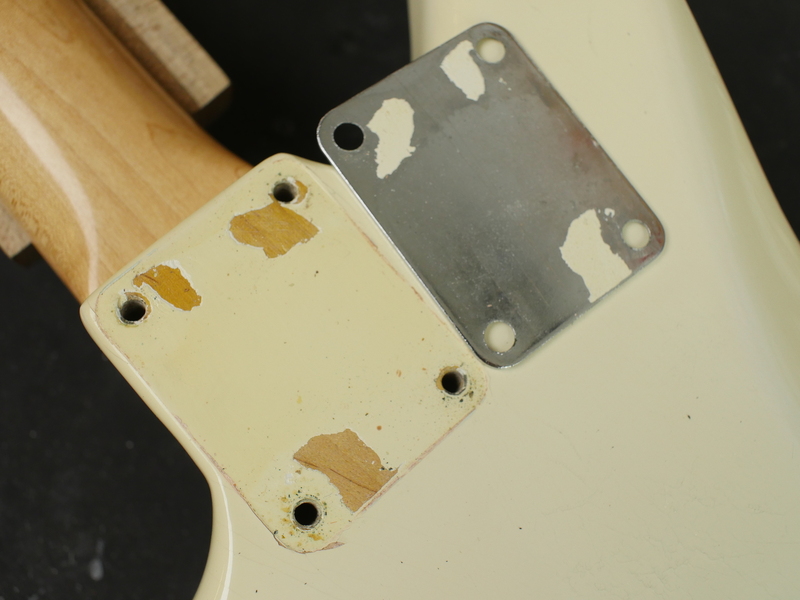 Under the pickguard you will find all the factory refin stamps and markings together with ‘WHITE’ crudely marked with a soldering iron. 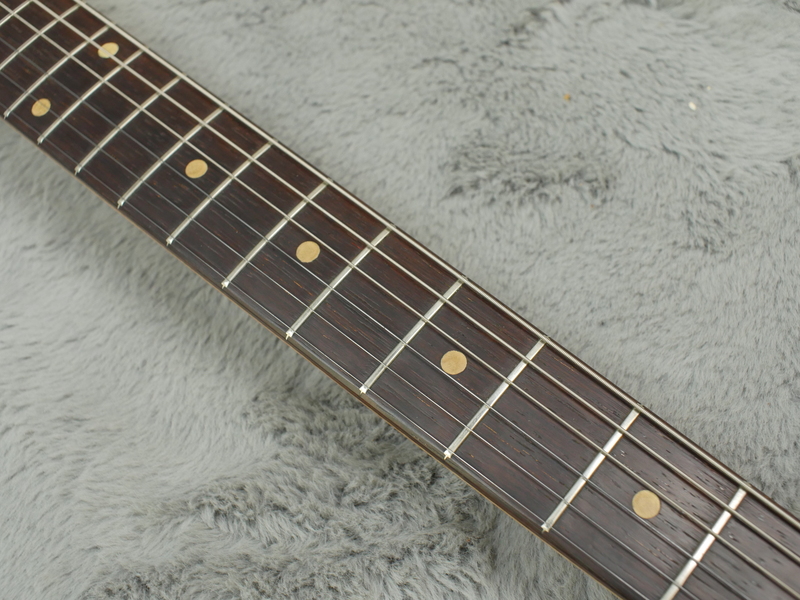 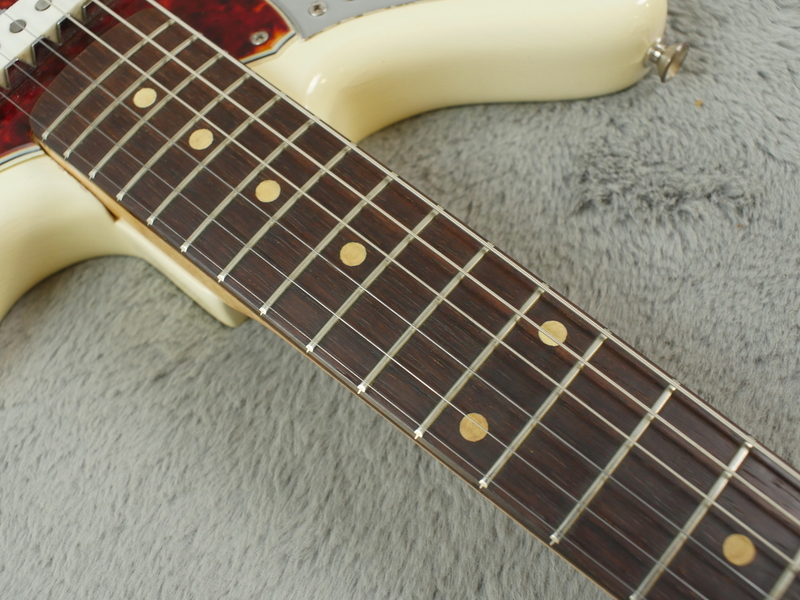 At the same time of the factory refin, Fender also applied a fresh decal on the newly painted matching headstock which you can see is clearly pre-CBS. 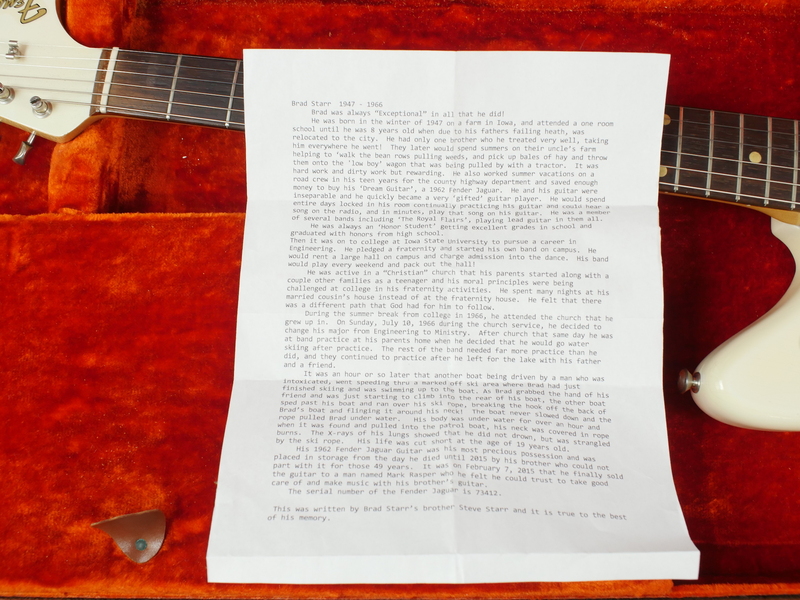 Included is a letter from Brad Starr’s brother detailing Brads short life (and death) together with some history of the band etc. 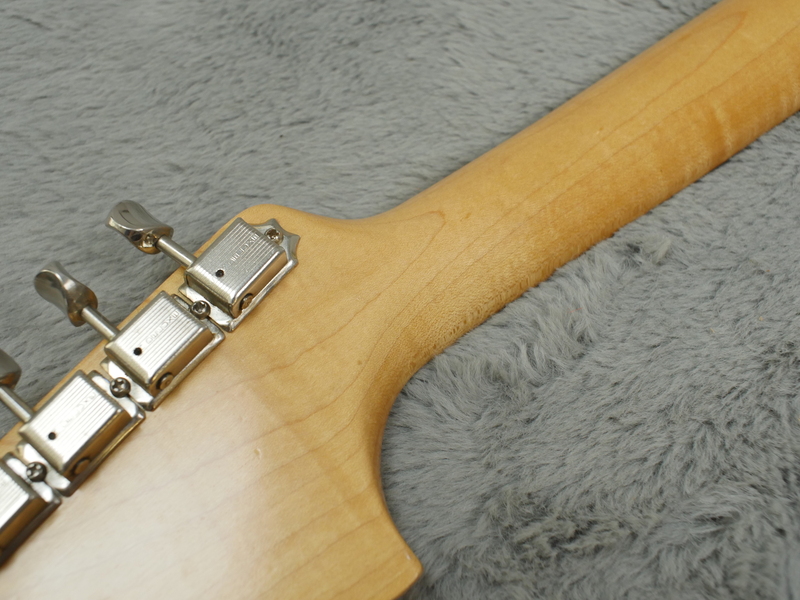 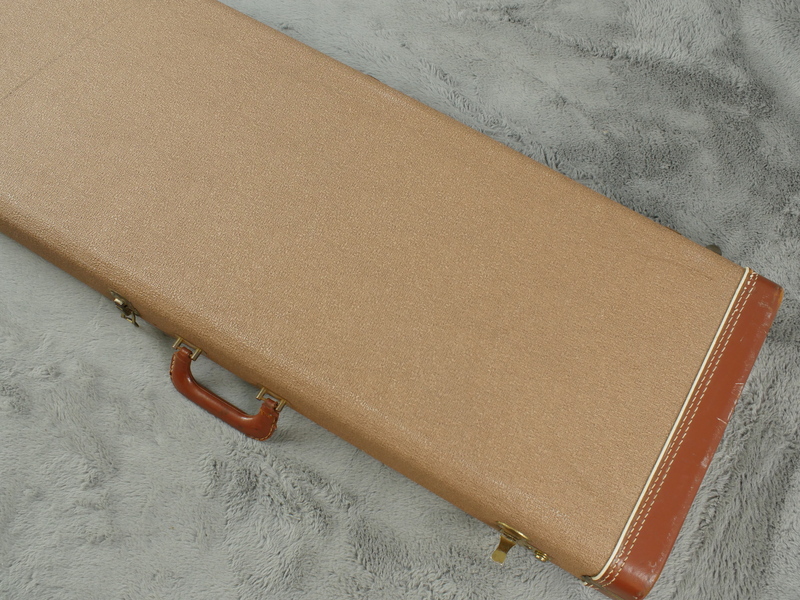 It has its original brown tolex 1962 case together with trem arm and bridge cover. 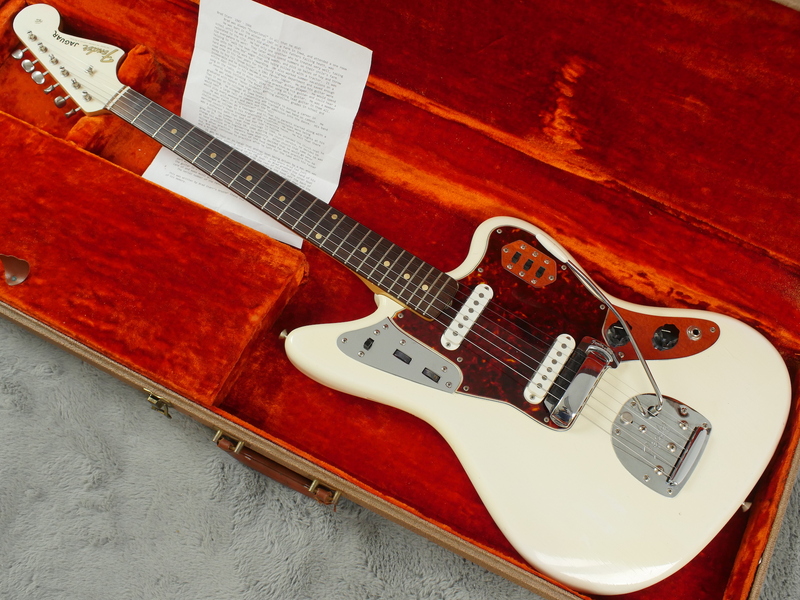 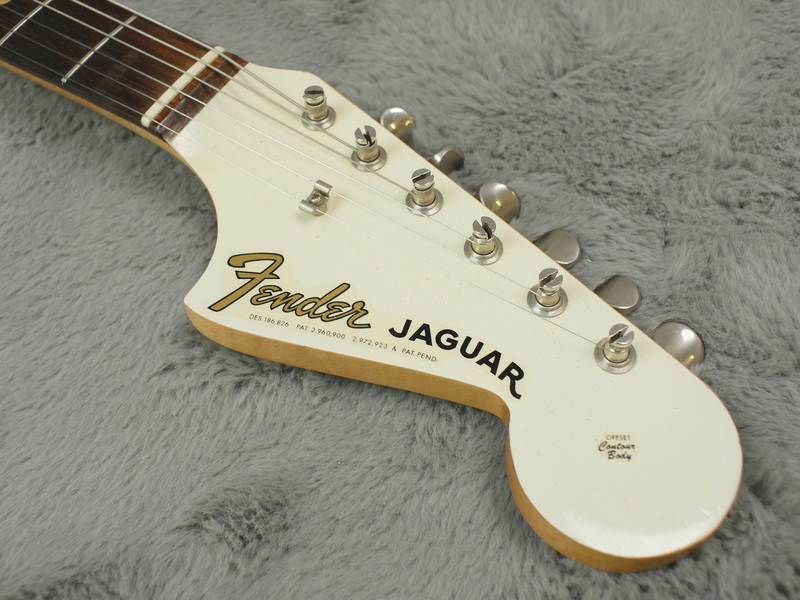 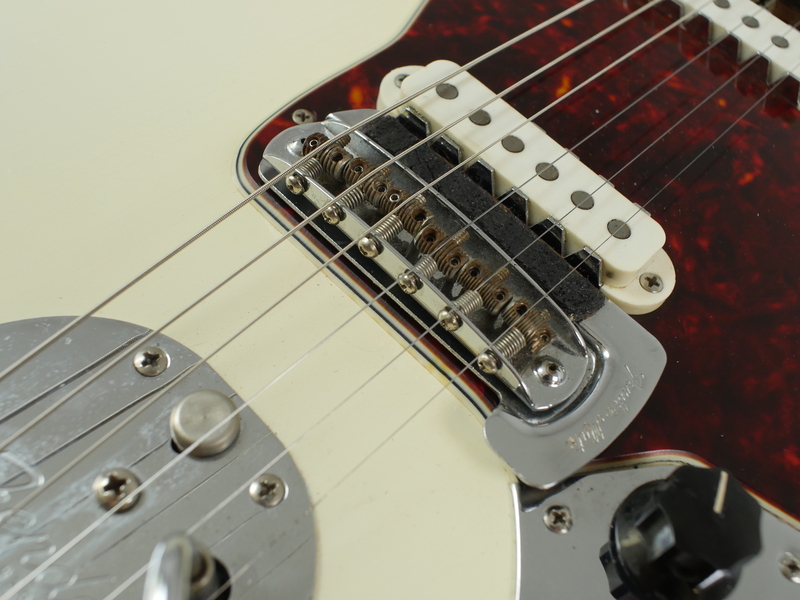 It is a lovely guitar, it looks the part and certainly sounds it with all the classic twang and surf you need from the Jag. 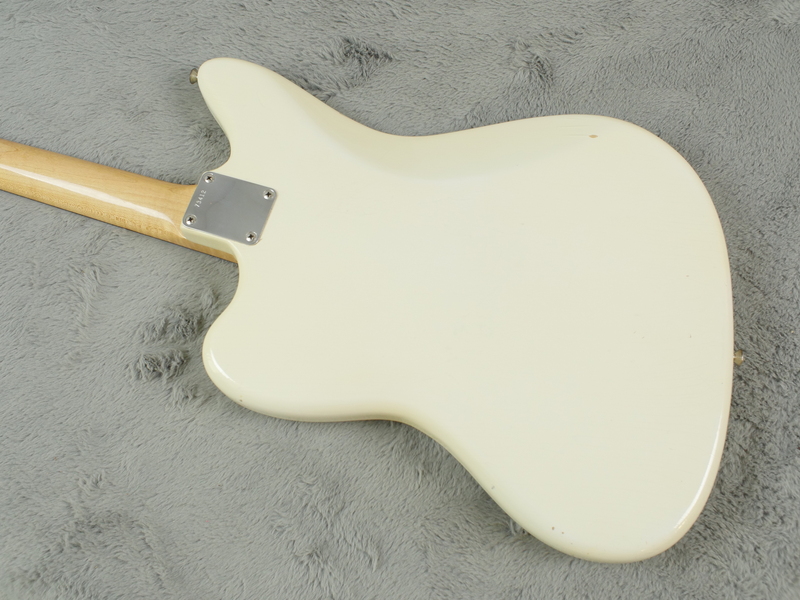 It is in excellent almost gleaming condition, there are a few marks and dings here and there and evidence of a removed sticker but none of this detracts from the superb gleaming, milky Olympic White the un-clearcoated factory finish has. 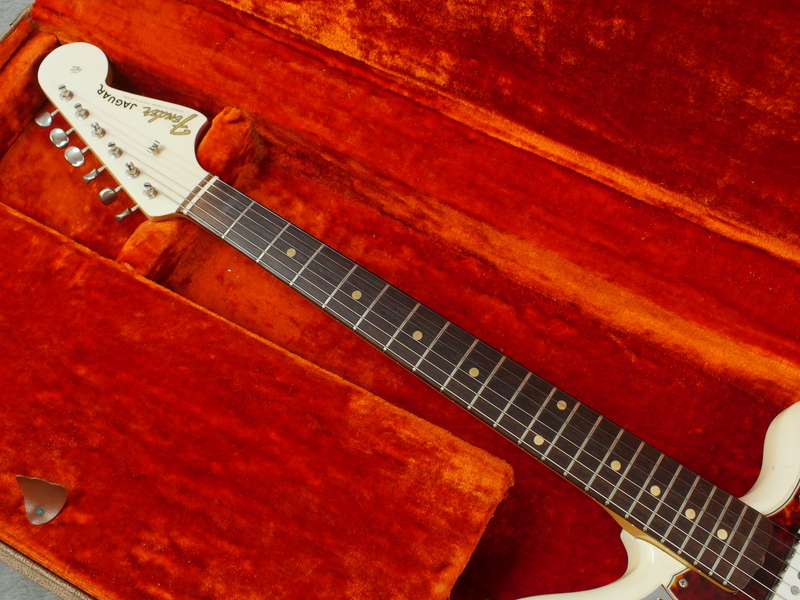 Please have a good look at the many pictures in the gallery page. 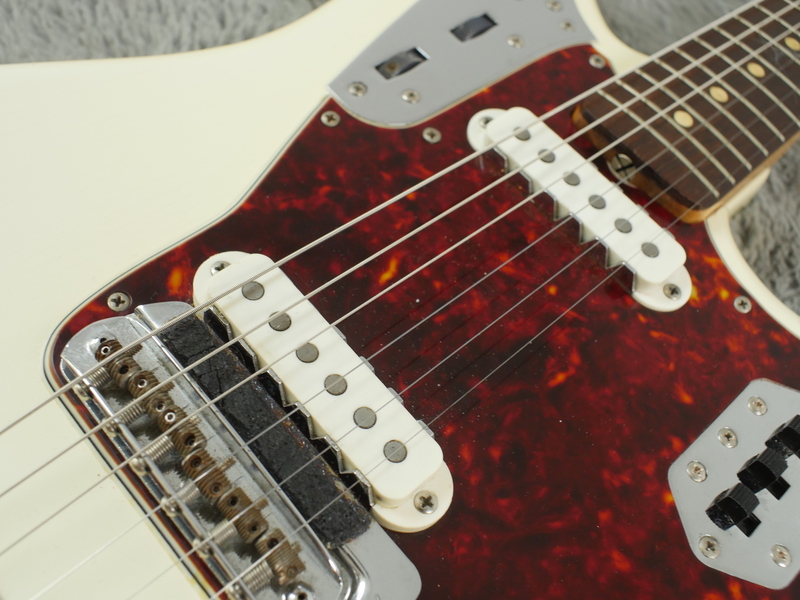 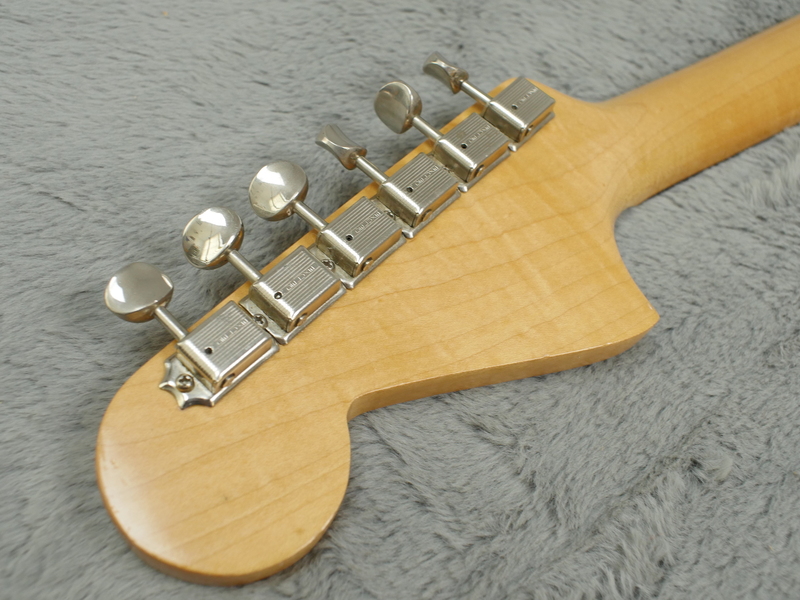 It is set up well with a nice low action, factory frets are still very playable and it has, without a doubt, that classic Jag twang which used in conjunction with that superb trem system is totally unbeatable.